New Regulations (July 1, 2019) - FAQ's Answered Here! Medical Exemptions Updates (July 1, 2019) - FAQ's Answered Here! 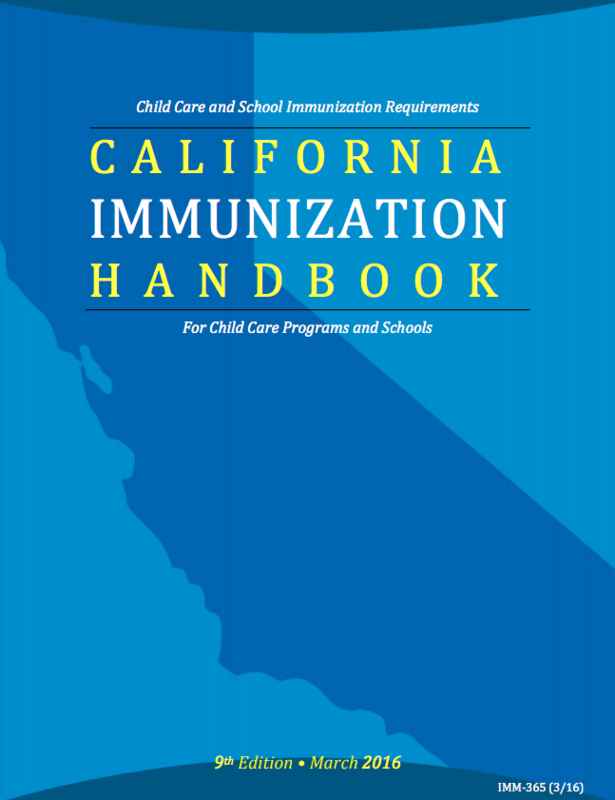 The 9th edition of the California Immunization Handbook reviews school immunization requirements, staff responsibilities, procedures for evaluating immunization requirements, and reporting obligations. 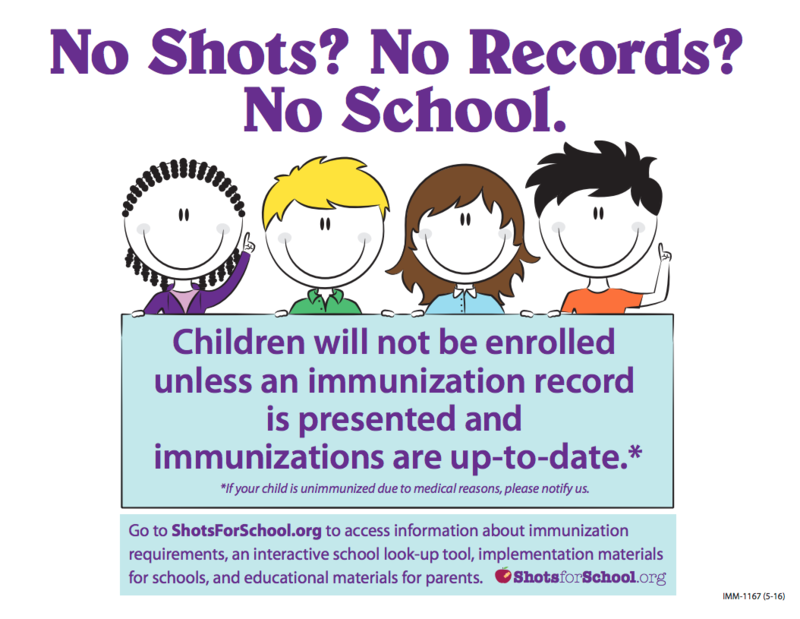 Guide to immunizations required for school entry. Documentation of these immunizations must be received upon enrollment as well as the next check-point grade (TK/K and 7th) for any booster vaccinations. Temporary medical exemption may be issued for no more than 12 months. Changes to the CA school immunization requirement regulations will become effective starting July 1st, 2019.